When we left off talking about my client from hell, they had left and abandoned their agreement with me. It was the beginning of a long road ahead! I decided that I wasn’t going to attempt to rent it again, just because it was such a drive to get up there. Below you’ll hear my trials and tribulations of my first attempt at a fix and flip. House was full of garbage and clothes when I first walked in. Tore a strip off the tenants and threatened to sue them for all the rent I didn’t get. I had no intentions of suing, but it worked and they got all their stuff out within a week. They smoked in the house constantly, so everything was covered in Nicotine. Hired a cleaning company to clean the house top to bottom. They didn’t do a very good job, and it cost me a lot of money, so we ended up using Kilz primer to cover up the stains and we scraped the popcorn off the ceilings. That was the process in a nutshell. In all, I was into the property for about $180k, but quickly found out that it was unlikely that I would get close to that in the area. In the end I sold for $165k and now have a loss on my hands. I have about $30k in receipts to give my accountant at tax time, I’ve increased my RRSP contributions, and I will be selling my Stirling property next year for a healthy profit, so I am not worried about paying down my debt. 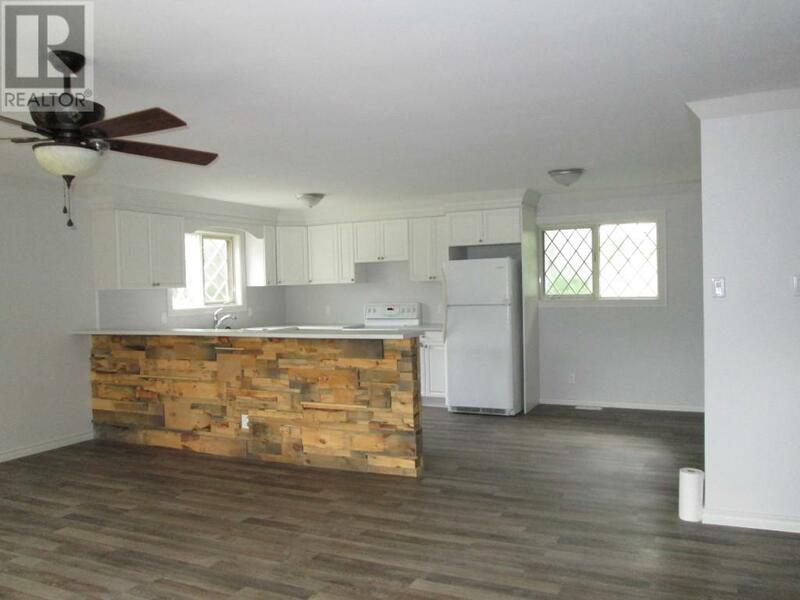 Before I went ahead and ripped out the kitchen and bathroom, I should have had my realtor do a check of the surrounding area to see what houses are going for. For the sale, my realtor ended up referring me to another realtor because she had just had a baby. This guy quickly told me that I was not going to get what I needed out of it. If we would have inquired beforehand, I could have saved myself some money. I ended up using a friend to do the renovation. He has his own company and is really good at what he does, but the problem is that he’s a one man show. He had a falling out with a partner, so he’s going at things by himself right now. The friend aspect can also be a concern, as perhaps I was more laid back with him than I should have been. All in all, the reno was done over a 5 month period, which was about 3 months longer than it should have been. Right from the start I was not clear enough with him on the vision for the reno. He did some extra things that looked nice when they were completed, but probably didn’t help with the sale. This house needed more of a ‘builder grade’ reno for the purpose of making a quick fix and flip and perhaps leaving extras for the new owners to decide on. Compounding this problem was the fact that I just could not get up there more than once or twice a week because of the distance away from my home. I’m not going to name any names, but I have had an experience to forget with a well-known ‘home comfort’ provider. It took the installers multiple visits before it passed inspection and even carried on passed my closing date. I had to defer $1000 on closing to keep the deal alive, which I am still trying to get back as of the date of posting this. The installation company has also dropped the ball as I have not yet received any information from them regarding what I owe, when it’s due, how to pay, or info on the government rebate. I originally got my mortgage with a 5 year fixed term because I had a 5 year agreement with my clients. This turned out to be a big mistake. Since I had 3 years left on my mortgage, it cost me almost $3000 to break the mortgage contract. I’d love to blame my mortgage broker for this, but I only have myself to blame. I need to be better aware of the details in the future. So there you have it. A fix and flip that turned out to be a flop. Looking on the bright side, I did learn some expensive lessons and I know things will be much different the next time I do this. Oh yes, there will be a next time! I’m not letting this setback deter me from making this work!